Used Gear: We sell only used paintball gear that is in good to excellent condition and all used paintball equipment comes with a 14 day warranty. If you are looking for a used paintball gun, or maybe making the next step, we have a great selection of used markers and equipment that are worth a look! Used gear may have some light scratches or cosmetic blemishes but this does not affect the operation. All used equipment is tested when purchased and before shipping to be in working condition. Used equipment will have 'Used" in the item title. Used Warranty covers malfunctions and issues other than user error. If you experience an issue, please contact us right away so we may trouble shoot your problem. We will attempt to get your item working over the phone. In the event we can not, you can send the gun back to us to be worked on. The used warranty does not cover shipping to or from us in the event an item has to come back for repair. Used items can not be exchanged or returned. Refurbished Gear: Buying refurbished paintball gear is a great way to save money. All of the refurbished paintball items are tested at the manufacturer to be in working condition. There may be some small scratches or scuff marks but the item will work as it should. 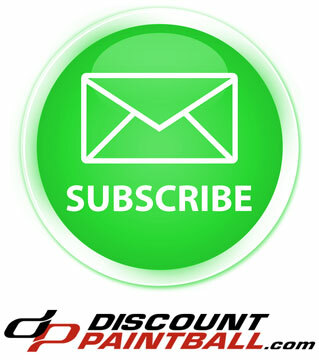 All of our refurbished paintball products carry a 30 day warranty through the manufacturer. All refurbished items will have "Refurbished" in the item title.